Because the temperature, pressure and the amount of moisture vary at different heights of the atmosphere, then wherever condensation occurs, clouds form. 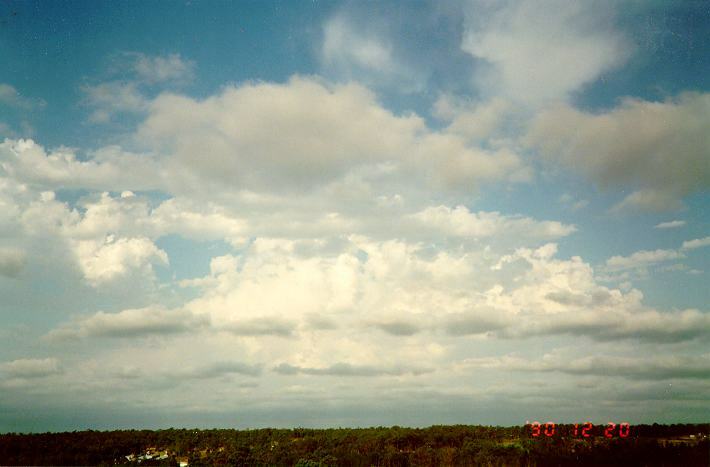 Therefore, there are many different forms of clouds occurring at different levels of the atmosphere. 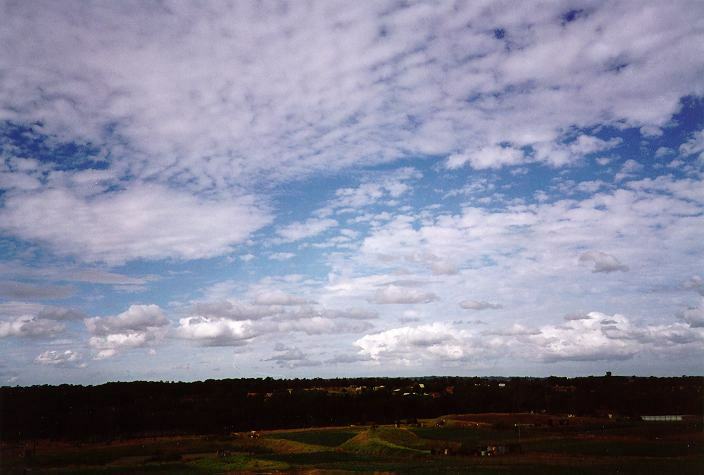 Certain basic techniques are necessary before an observer is able to successfully identify cloud types. The higher the clouds, the generally slower it appears to move. Think of the distance of arc length that higher clouds have to travel as compared to lower clouds. Now, it will be an interesting simple experiment to observe the cloud motion on a day with low cloud. Compare the speed of the cloud from your view point and then observe the cloud at a different altitude. You will find that the higher you are, the faster the cloud appears to move. Just think of a train moving at a distance from you and compare it as if you were standing very close. At a close distance, the train will appear to pass you very quickly, even though it will be travelling at the same speed. This applies to cloud motion as well. The higher you are, the closer you are to the base of the cloud so the faster it appears to move. 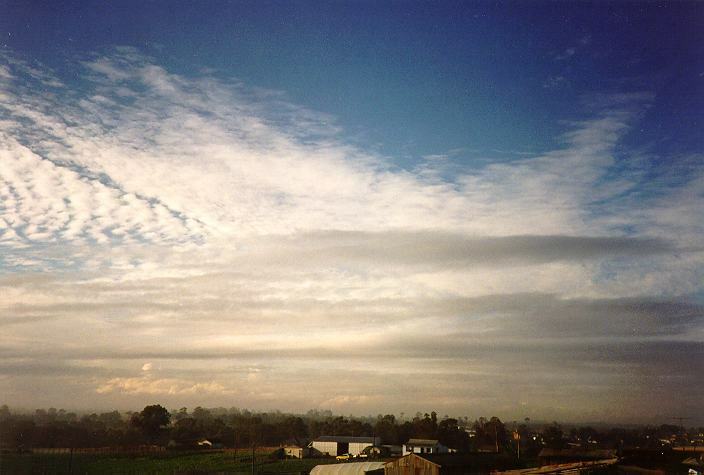 In appearance, higher clouds are generally in the form of sheets, whilst lower clouds are more ragged and 'puffy' due to the increased turbulence closer to the earth's surface. The higher clouds are also much brighter and lighter than lower clouds because of the higher reflectivity of the ice crystals. The higher clouds seem to be more clearly defined than the lower clouds.In other words, lower clouds seem to look more 'out of focus'. They tend to indicate the feeling of being 'softer' whilst higher clouds are more 'solid looking'. These observations again relate to the presence of more ice crystals at higher levels and the different distances of the various types of clouds. 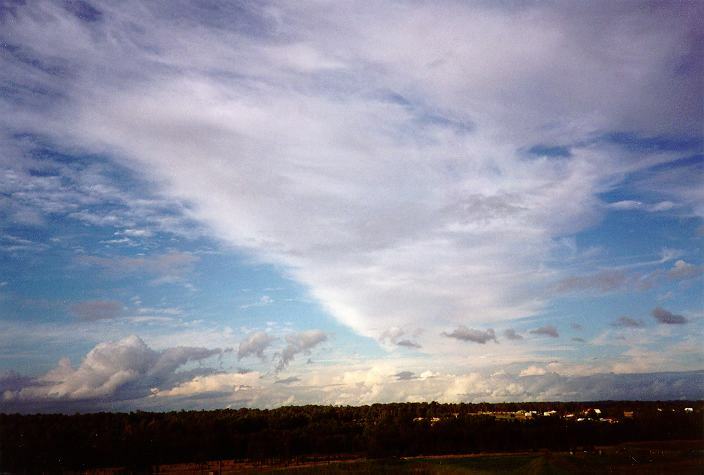 clouds at different layers often move in different directions because of the different directions of wind at the various levels. However, this does not always happen and should be used as a technique with other techniques. 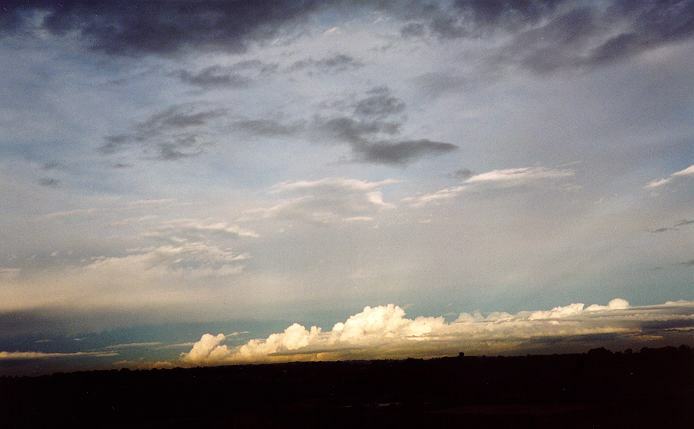 Because identification of cloud can be fairly complex, the following technique is important in identifying different clouds that occur simultaneously. Under these circumstances, the lowest clouds will obscure your view of the higher clouds if they happen to pass between you and the higher cloud. 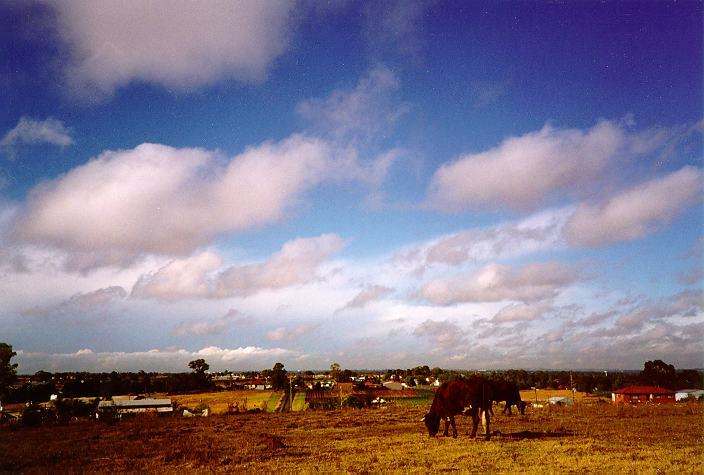 You must compare the colours and contrasts, the different speeds and the directions of the different clouds. It is important that you practice this technique regularly.